A Letter To All My Superwomen…. How’s life and things been with you guys? Hope that this week is seeing less of you =) . I’ve been following my running plan in preparation for my upcoming [did I say 1st] C25K race. And have finally broken this 4 months yes!! four f#%king months !!!! plateau thingy that I’ve been stressing over! Can’t help but share my thoughts on an animated conversation that I overheard , this past week, by a group of women who had just completed their morning workout. The conversation was centered mostly around ‘trying to fit eighty hours into the allotted twenty-four hours that make up the usual day…’. The question poised was ‘ with the challenges of family, religious, work and community obligations, when is there time for today’s woman to take care of herself…’? I wonder if any of these women know that according to The Bureau of Labor and Statistics, 66% of women with children 17 or younger work full- or part-time. And that the research done by Linda Babcock, which she published in a study entitled, “Women Don’t Ask“, reported that full-time working women do over 33 hours of domestic chores a week… With all of the hats that we wear seemingly all at one time, Soccer Mom, Domestic Diva, Paula Professional, BFF, etc., it’s no wonder that we feel like Super Women! 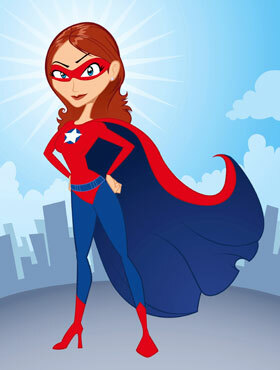 Because the cost of being a Super Women may be far too high – health, time, stress, personal and financial well-being – it goes without saying that finding that ever-so-elusive balance is imperative. After all, isn’t validation, inspiration and empowerment a pretty powerful trio of allies to have? I’d luv to hear your thoughts, Luv-lies? ← Get Naked with It…..